Making strategic decisions is a fundamental skill for leaders and managers. However, in a business environment that is in a constant state of change, making strategic decisions has never been more difficult. 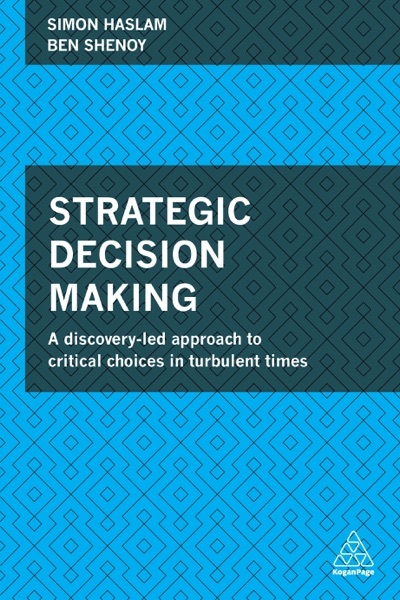 Strategic Decision Making addresses this challenge by providing a framework that can be used to make sound decisions in an uncertain world. Structured around the core concepts of framing, experimenting and scaling, this book will ensure that efforts are focused where the need is greatest, that interventions are tested, evaluated and revised if necessary and that successful initiatives are effectively rolled out across the business. Packed with real world examples and backed up by academic research, Strategic Decision Making will allow today’s leaders and the leaders of tomorrow to make successful and defensible business choices. It shows how to: avoid decision-making bias; overcome organizational inertia; manage the difficulties of rigid organizational structures and avoid being side tracked by outdated or irrelevant experience. Essential reading for business practitioners and management students alike, this comprehensive guide provides a robust approach to achieving strategic success.